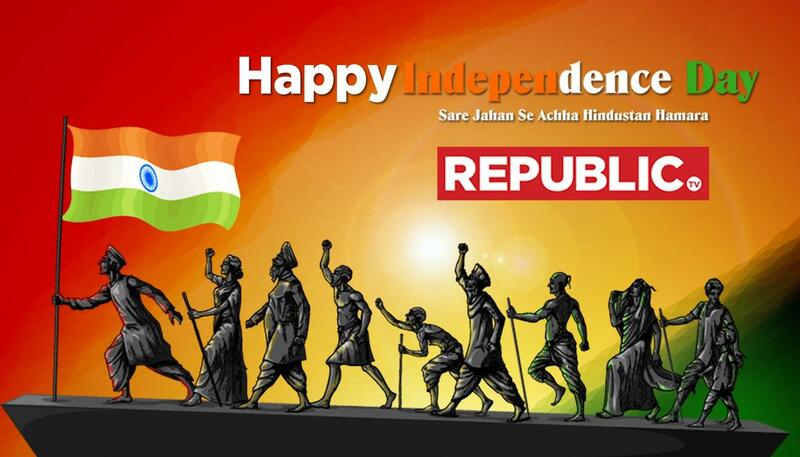 Republic Day is India’s great national festival which is celebrated on 26th January each year. 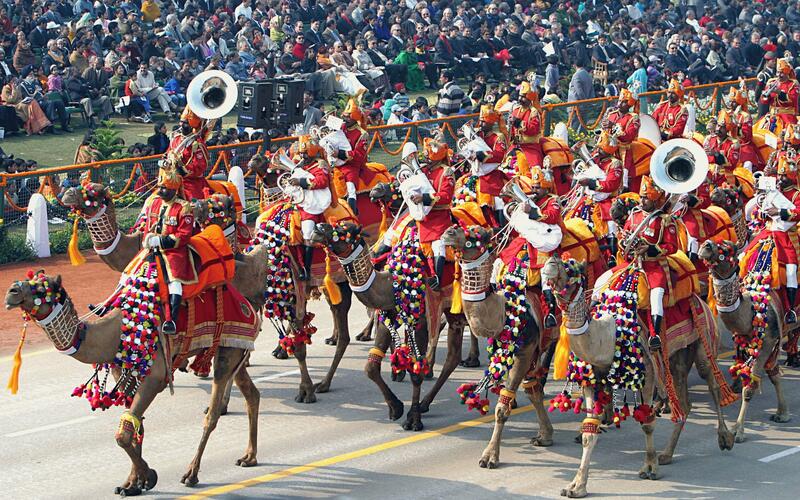 which includes elephants, a procession,and plenty of military might and Indian princely splendour. On Republic Day, there are parades of the three armed forces, followed by floats and dancers from all parts of the country. Holi is the spring festival and is celebrated with enthusiasm, men, women and children revel in throwing colored powder and water on their friends. 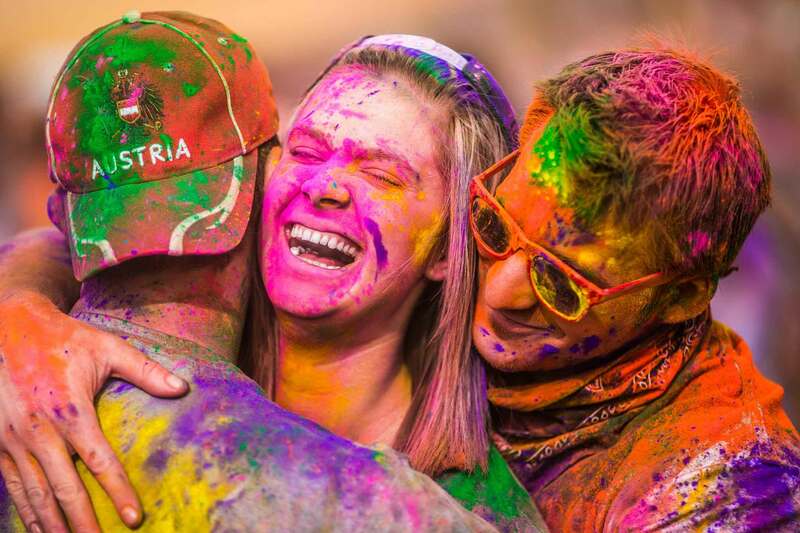 In February it is one of the most exuberant Hindu festivals in the north of India.It marks the end of winter and basically involves throwing coloured water and red powder over as many people as you can in one day. The most interesting Holi celbration is the Lathmar Holi ( at Barsana near Mathura), the legendary home town of Radha, consort of Nandgaon ( home of Krishna) to throw color on them. The 10-day Shi’ite Muharram festival commemorates the martyrdom of Mohammed’s grandson. It’s marked by a grand parade and dedicated penitents scourge themselves with whips in religious fervour. It’s best seen in Lucknow, the principal Indian Shi’ite city and takes place in April/May for the next couple of years. Traditionally celebrated every 12 years, it is commemorated annually, usually on the banks of the Ganga & other holy rivers where large numbers of sadhus (holy men) gather.The massive Kumbh Mela festival commemorates an ancient battle between gods and demons for a pitcher (kumbh). During the fight for possession, four drops of nectar fell from the pitcher and landed in Allahabad, Haridwar, Nasik and Ujjain. The mela is held every three years rotating through these four cities. A dip in the river during this period is considered very auspicious. 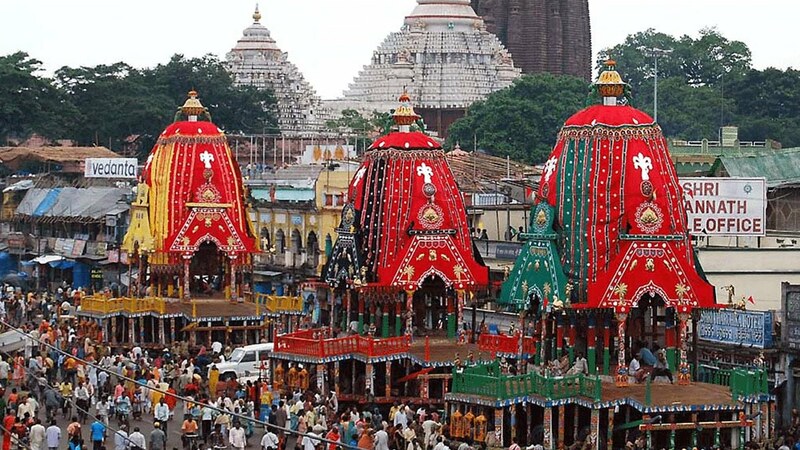 A monumental festival held in July at Puri, Orrisa. The journey of Lord Jagannath from his temple, pulled in a giant wodden chariot that is pulled by thousands of eager devotees. participating in the festivities. 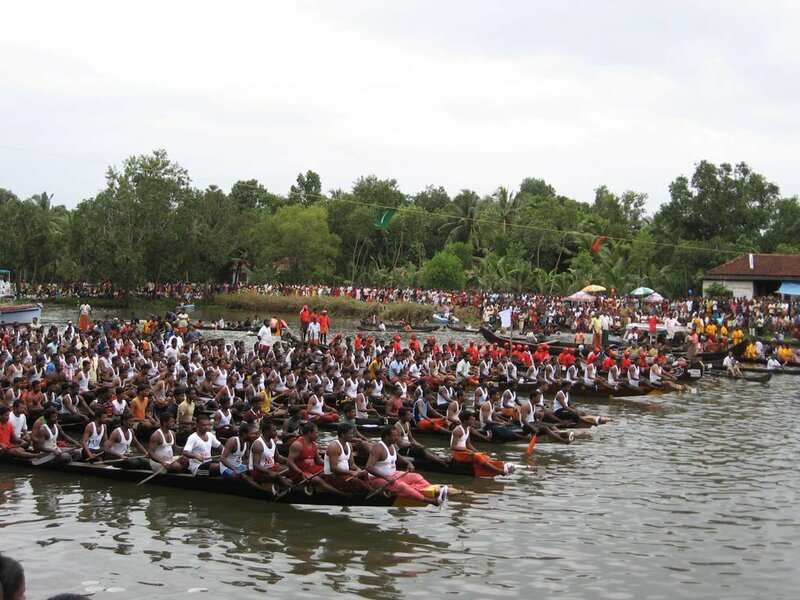 One of the big events of the year in Kerala is the Nehru Cup Snake Boat Races on the backwaters at Alappuzha (Alleppey), which take place on the second Saturday of August. This annual event is very attractive for oarsmen who practise round all year. The prestigious Nehru Trophy is presented on this occasion. Spectators lucky enough to gain a ringside view will love the spectacle. Ganesh Chaturthi is celebrated in honour of Ganesha, the elephant-headed god who is as worshipped the remover of obstacles. The birth anniversary of Lord Ganesh. It’s celebrated widely, but with particular enthusiasm in Maharashtra. 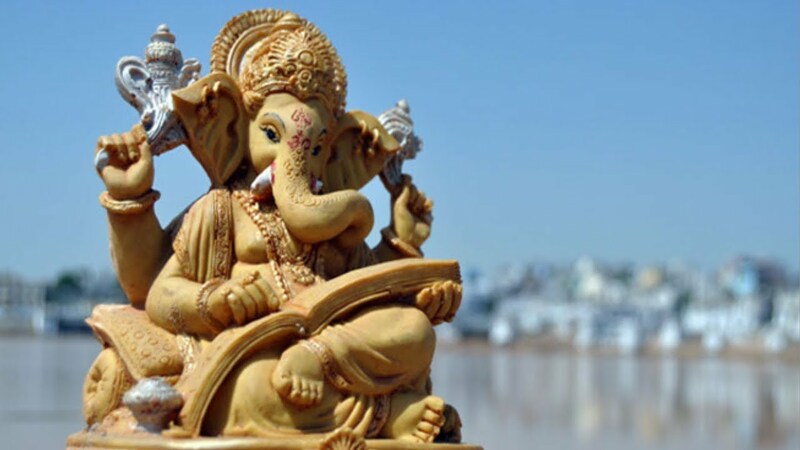 Shrines are erected, firecrackers let off, huge images of Ganesha are carried in procession these images are immersed in the sea or rivers with thousands of worshippers dancing and singing after them and everyone tries to avoid looking at the moon. 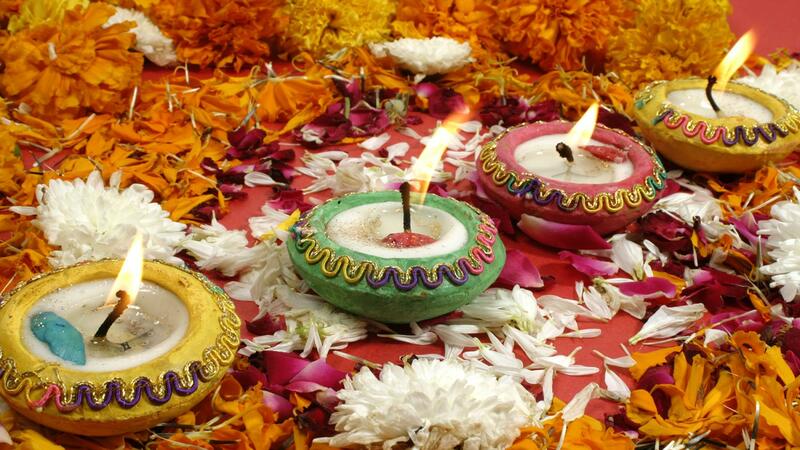 Diwali or Deepawali, the festival of “rows of lights”, is the most important of all Hindu festivals. People illuminate their homes at night with garlands of lit candle or oil-lamps with fireworks being a major attraction. 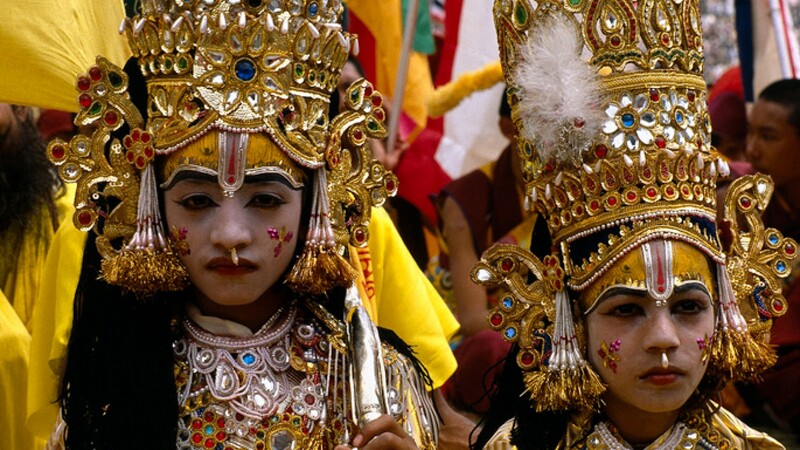 Sweets, oil lamps and firecrackers all play a major part in this celebration in honour of a number of gods. It is believed that it was on this day that Rama entered Ayodhya after 14 years of exile. Deepavali is also celebrated as Naraka Chaturdashi, the day when the demon of darkness and dirt, Narakasura, was destroyed by Krishna. 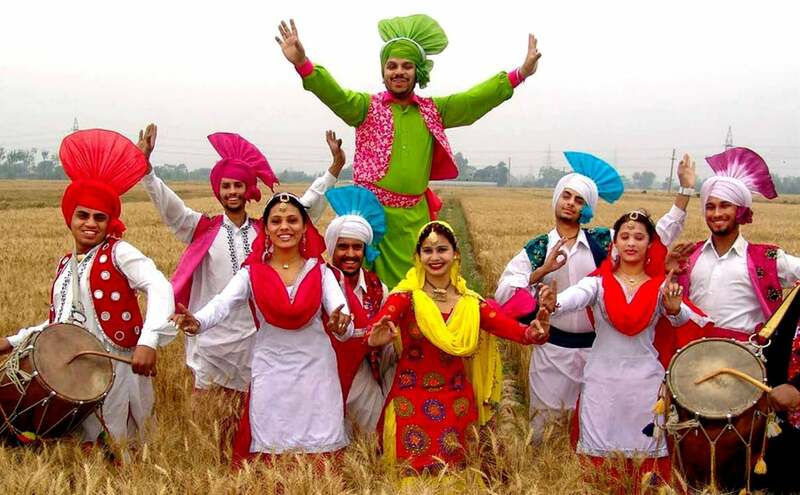 Baisakhi is also the harvest festival of the Punjab and is celebrated with dances and gaiety. All over the north the solar new year’s day is observed on this day, which is also the new year’s day of Tamil -Nadu. For Hindus, it also denotes the days of the descent of the Ganges to the earth, and people take dips in rivers. It is of special religious importance to Sikhs as the day of the formation of the Singh, who converted the Sikhs into a martial race. 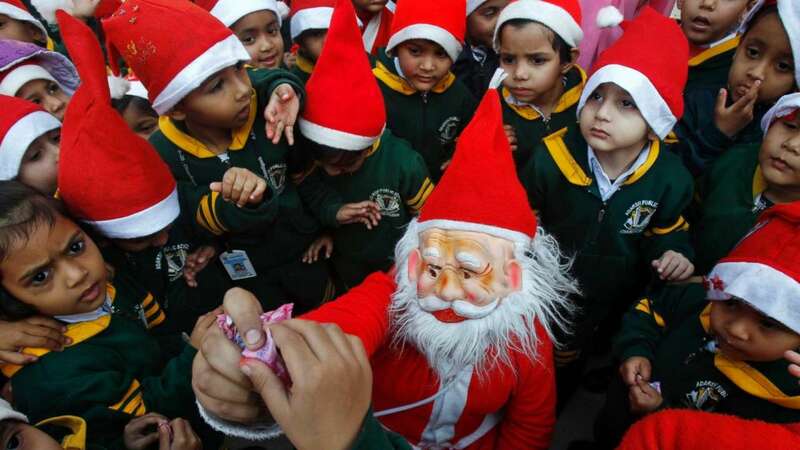 Christmas, the birth of Christ is observed all over the country with traditional festivities. It is widely celebrated all over India on 25th December and is specially interesting in Goa and Kerala, where some of the local culture has been absorbed into the festivities. DUSSEHRA, October Celebrated all over India, Dussehra marks the victory of Ram over Ravana, & the rescue of his wife Sita. In North India gigantic effigies of the ten-headed Ravana & his brothers are set aflame with a bursting of crackers. Fairs are usually held on this occasion with lots to eat, buy & enjoy. 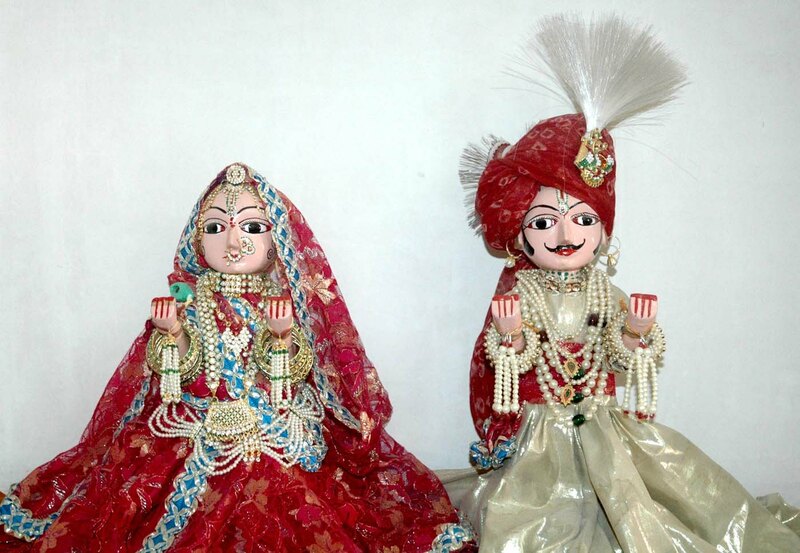 GANGAUR March Chiefly celebrated in Rajasthan it marks the quest for marital happiness among women who pray to Parvati. On this day they carry idols of Shiva & Parvati through the streets while marching in gay processions. 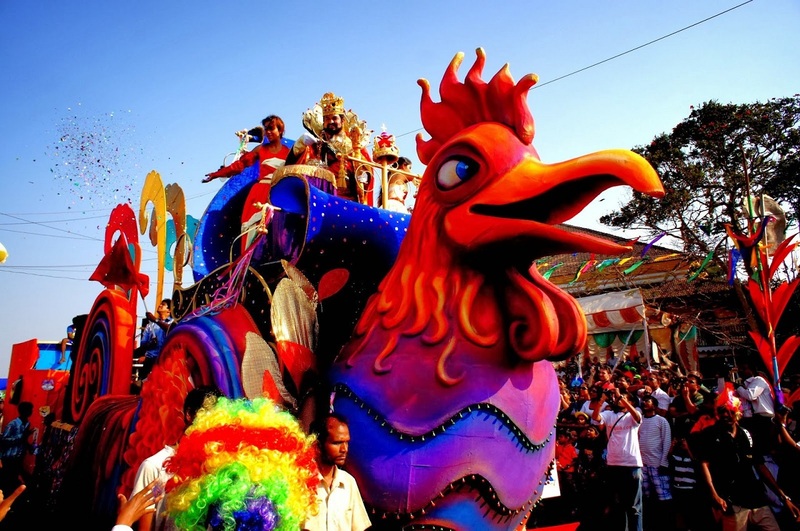 GOA CARNIVAL February-March A truly Goan celebration with a Portuguese flavour featuring continuous singing, dancing, loud music, lots to eat, floats and processions. This marks the period February-March before the beginning of the austerities of Lent. 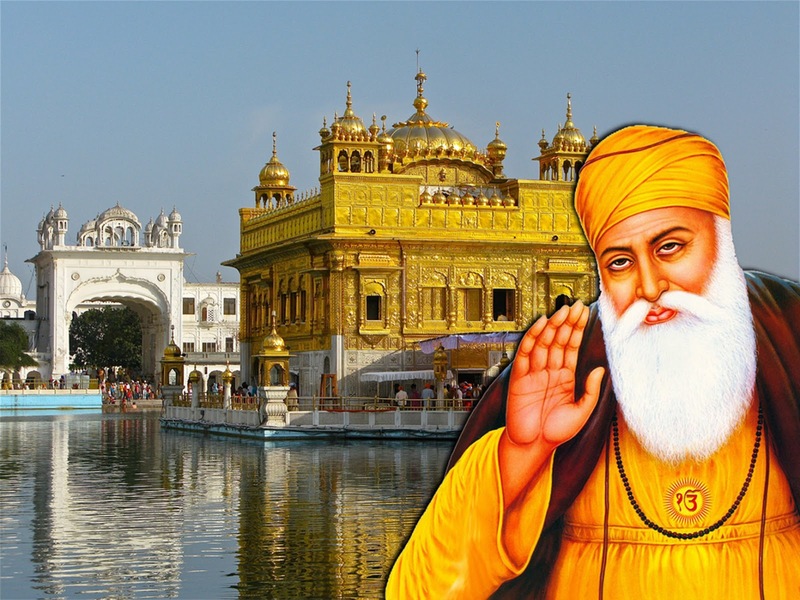 Gurupurab is the birth anniversaries of Guru Nanak, the founder of Sikhism and of Guru Gobind Singh, the last Guru (December-January), are important festivals of the Sikhs. 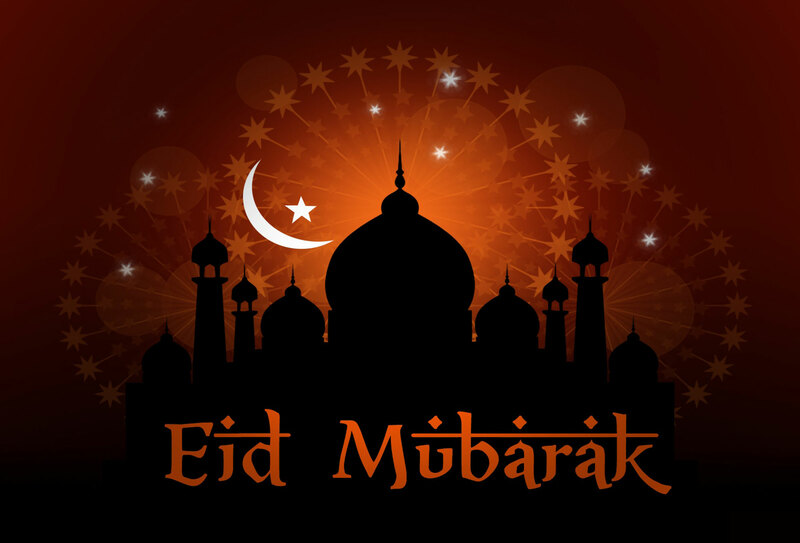 ID UL FITR or RAMZAN ID , an all India festivity celebrated among the Muslim community marks with feasting and rejoicing the end of Ramazan (Ramadan), the Muslim time of fasting. ID UL ZUHA or BAKR ID, Muslim festivities are celebrated throughout the country. They celebrate the sacrifice of Hazrat Ibrahim, who willingly agreed to kill his son at the behest of God. To celebrate the event Muslims sacrifice one animal per family or group of families. There are prayers in mosques, feasting, and rejoicing. New clothes are worn and visits and greetings are exchanged. Independence Day, August 15, commemorates the day in 1947 when India achieved freedom. It is celebrated all over the country with meetings and flag-hosting ceremonies. 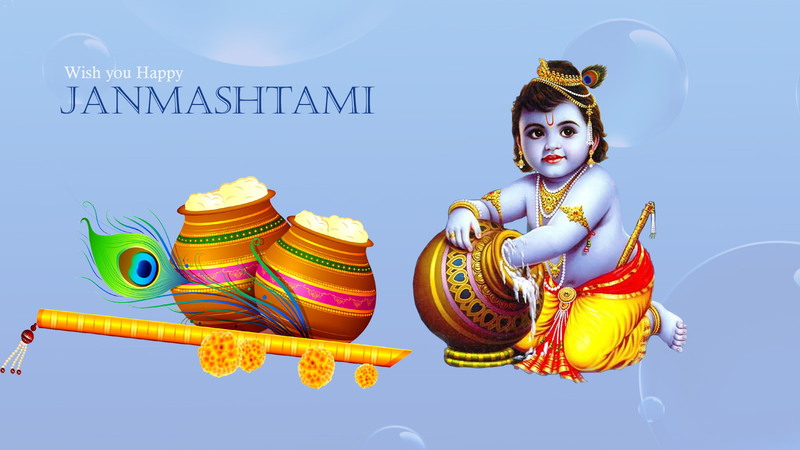 Janmashtmi celebrates the birth of Krishna, the eighth incarnation on earth of Lord Vishnu. It is celebrated by fasting followed by feasting and merriment. Lord Krishna is looked upon as a folk hero. 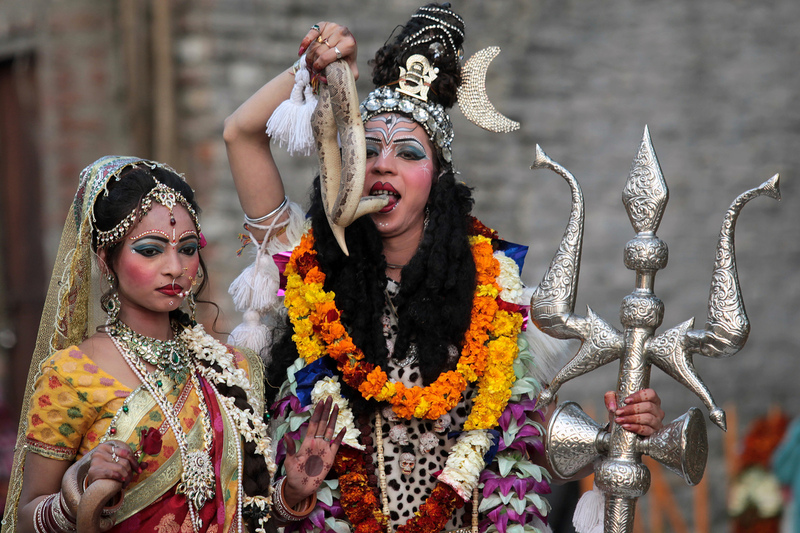 Maha Shivaratri is the height of the worship of the great Shiva, the third deity of the Hindu trinity. 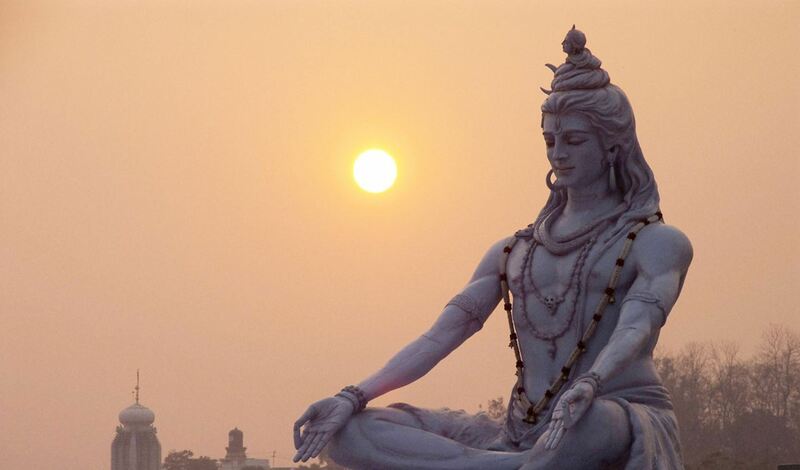 SHIVRATRI, the birth anniversary of Shiva, the Lord of Destruction, is celebrated all over the country with the god being propitiated in temples. People fast throughout the day & ritual prayers are conducted in temples at night. 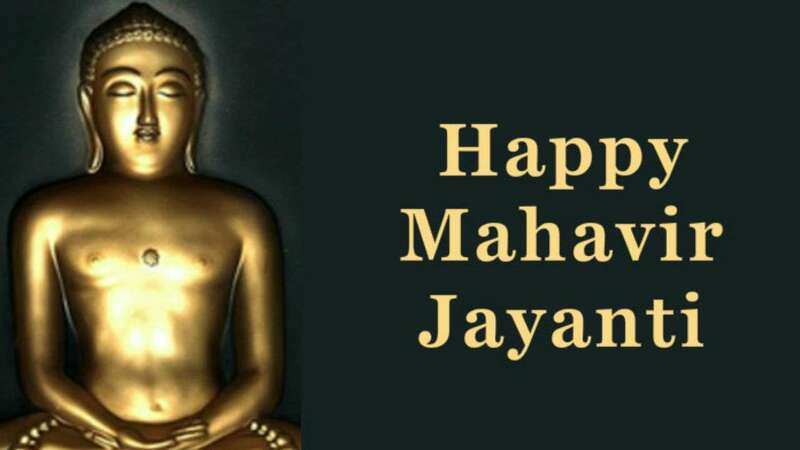 Mahavir Jayanti commemorates the birth anniversary of Mahavira, the founder of Jainism. It is a day of prayer. There are celebrations in all Jain temples and pilgrimages to Jain shrines. 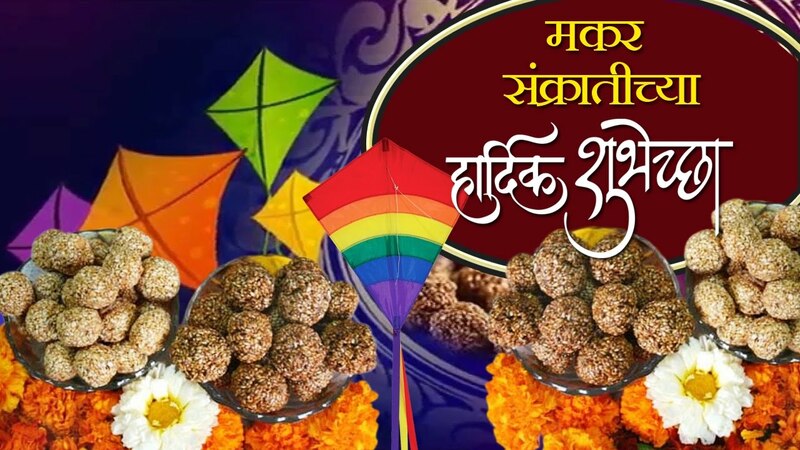 Makar Sankranti marks the commencement of the sun’s journey to the Northern Hemisphere and is a day of celebration all over the country. Wherever there are rivers or the sea, people take a dip in the waters on this day and worship the sun. Also known as Gangasagar Mela, on this day, people come from all over India for a ceremonial cleansing in the River Hooghly,. In Gujarat, Makara Sankranti is celebrated by the flying of kites. 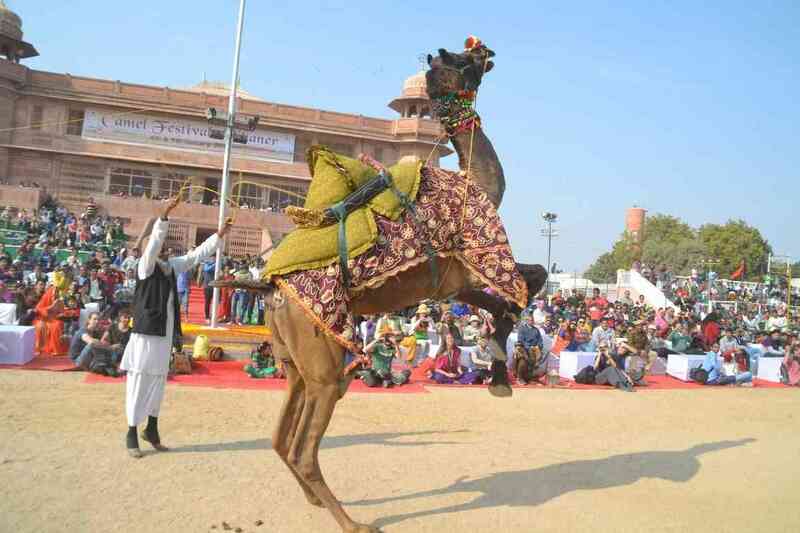 NAGAUR FAIR in January is a major camel & cattle trading fair held in Nagaur, Rajasthan. This is known as a trading event cattle & camels being sold or bought in it . The campfire evenings are an extremely exciting component. In this fair women do not participate. 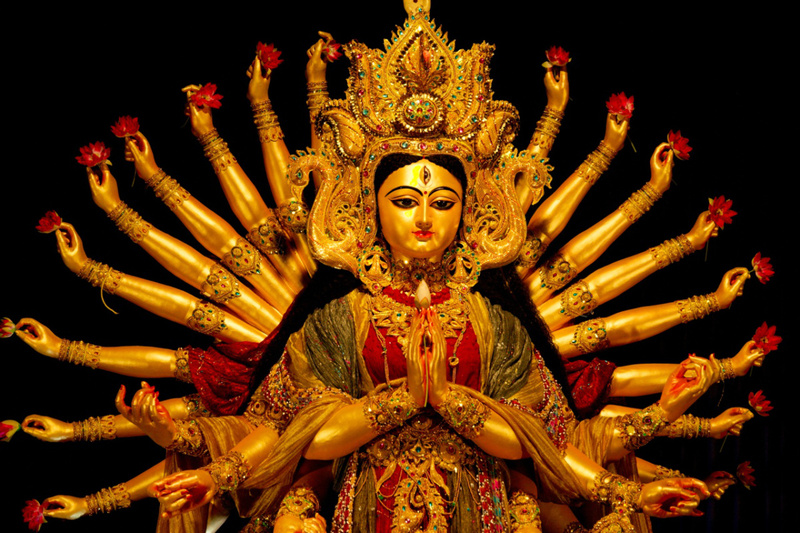 Navaratri, the Festival of Nine Nights, is celebrated in honour of the goddesses Durga, Laksmi, and Saraswati. This occasion commemorates the homecoming of the Goddess Durga. Her return home is marked by the immersion of her idols in running water. 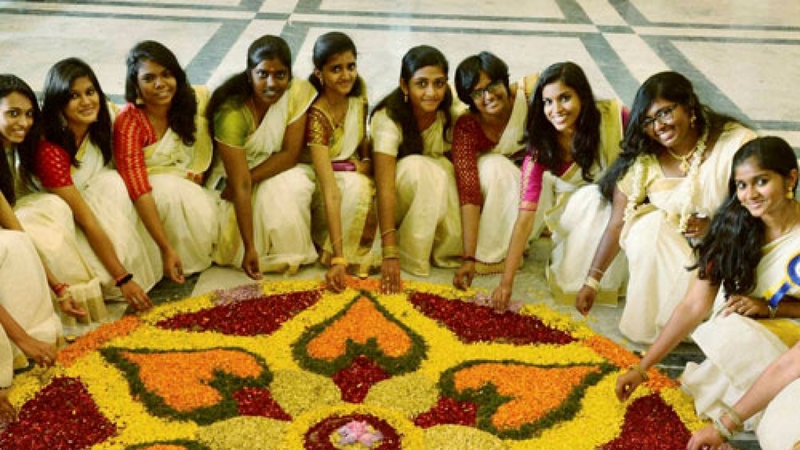 ONAM Celebrated in Kerala, Andhra Pradesh & Tamil Nadu. It is celebrated in september with flower decoration, motifs etc. snakeboat races add a mark to southern festivity. 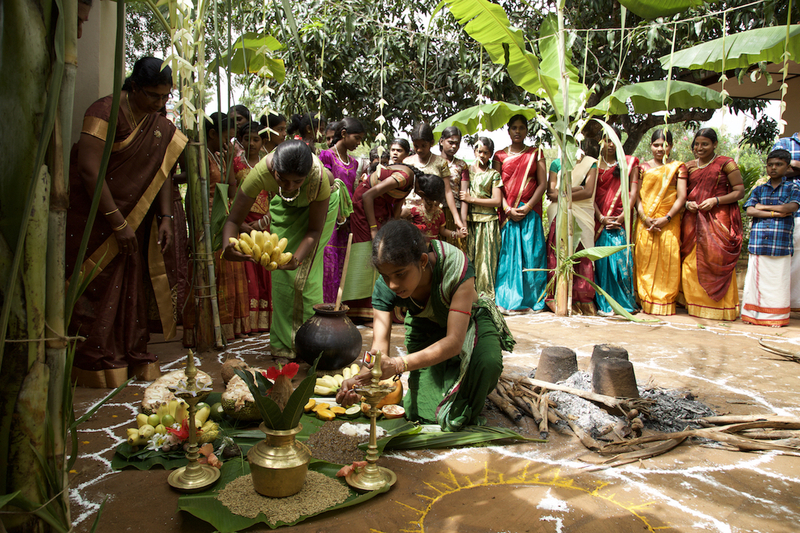 PONGAL, It is also known as the harvest festival. This festival is celebrated in January and the cow is worshipped on this day. People decorate their homes with flowers etc. This is a festival unique to the state of Tamil Nadu. 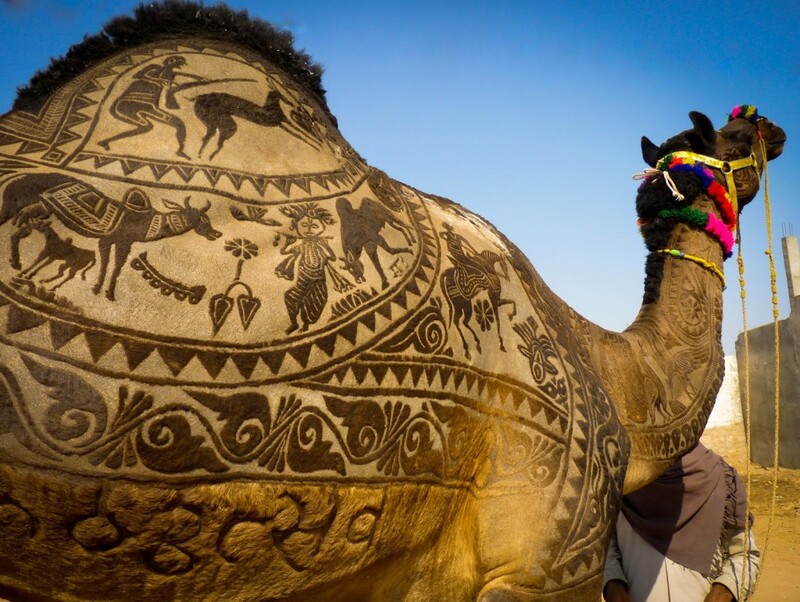 PUSHKAR FAIR, the largest camel trading fair in the world is held in this small town in Rajasthan. Women participate in the religious festivities associated with this event, praying at India’s sole temple dedicated to the god Brahma, & taking a holy dip in the waters of the Pushkar Lake. The fair has been held for as long as anyone can remember. Special accommodation & activities for tourists are organised for this fair. 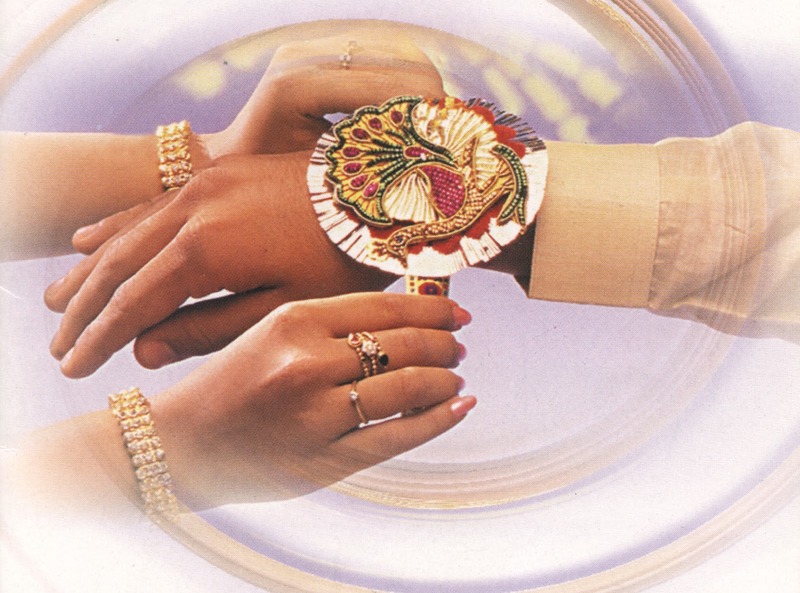 Raksha Bandhan is an integral part of the Hindu family structure whereby a sister ties a rakhi or decorative thread on the wrist of her brother to remind him to protect her if the need arises, it is also the sign of their affection. The festival is celebrated as Coconut Day in Maharashtra as the monsoon seas are calmed by coconuts thrown to Varuna, the god of waters. Ram, the Hindu religion’s most popular god, an incarnation of Vishnu, was born on this day in April &the event is traditionally celebrated in temples as a day of great piety, with the chanting of prayersand the singing of ballads. 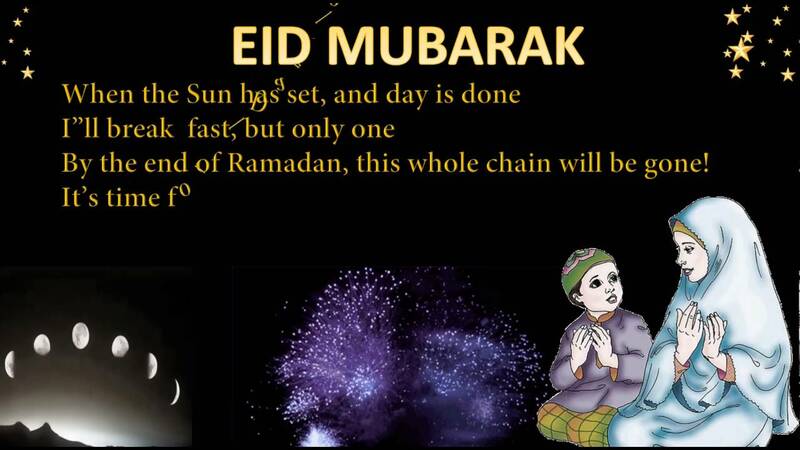 People observe this day by fasting. 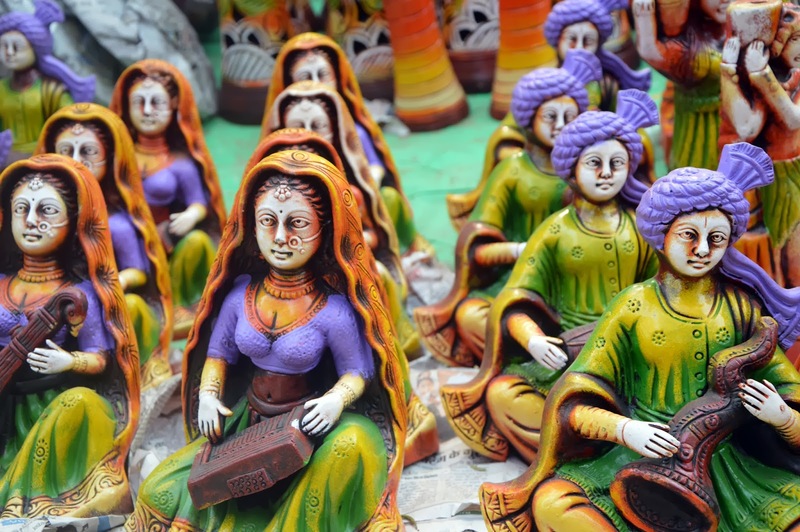 Suraj Kund Crafts Mela from 1st- 15th February held at Suraj Kund, Haryana. Here visitors can see the heritage & skill of the Indian craft world and award-winning crafts-men at work & purchase directly from them. Cultural programmes & fashion shows are also held here during this period. 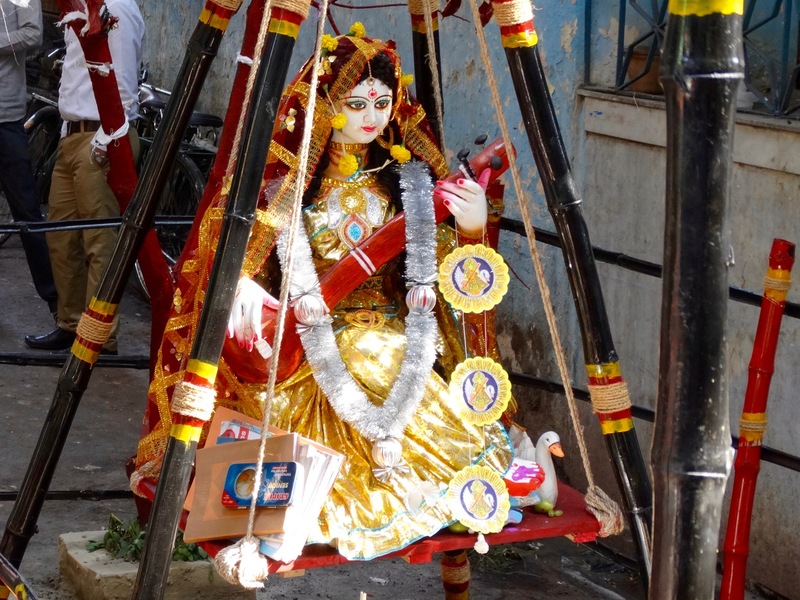 Vasant Panchami is a festival in honour of Saraswati, the goddess of wisdom and learning. Specially celebrated in Northern India With the mustard folwers in bloom. Most of the people dress in yellow to appreciate the day.